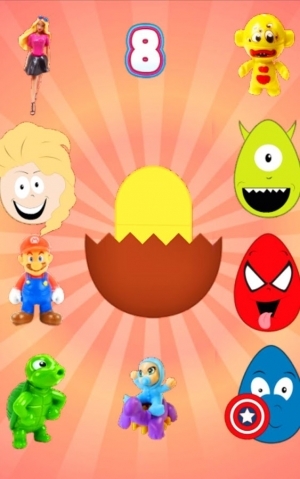 Surprise Eggs is a new Game for Kids! It is the Best Kinder Surprise Eggs for Boys & Girls with toys! Now it's time to discover what is hidden inside chocolate eggs!!! 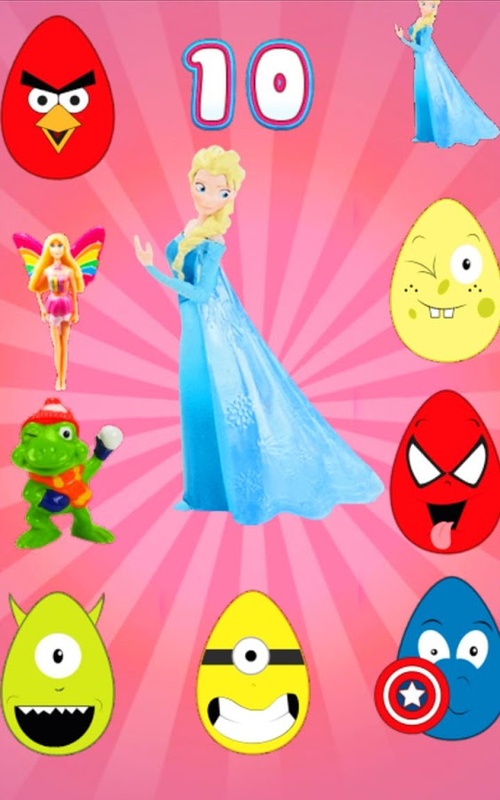 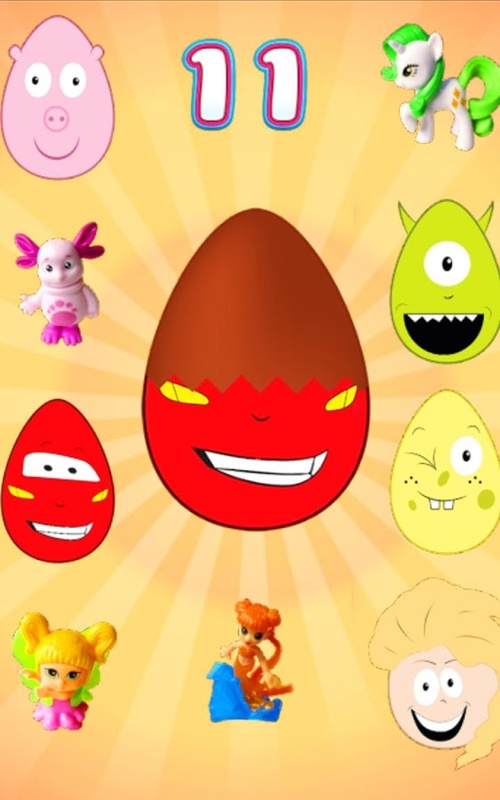 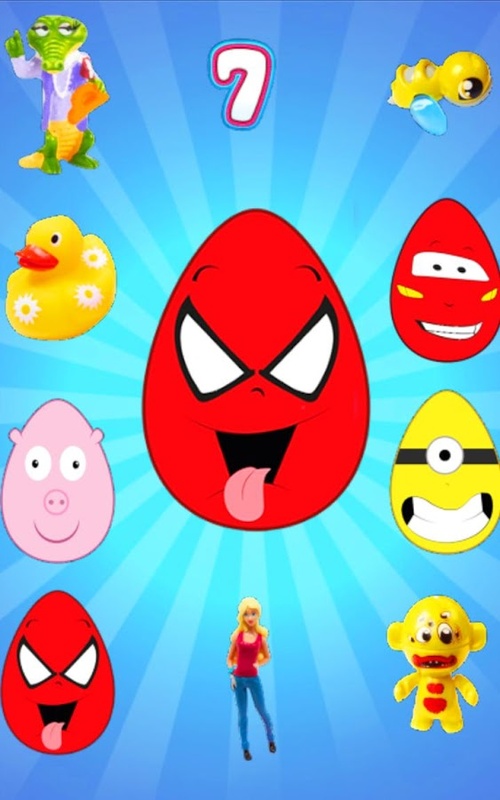 There is more than 250 toys for kids in this surprise eggs app! 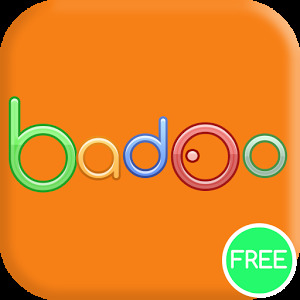 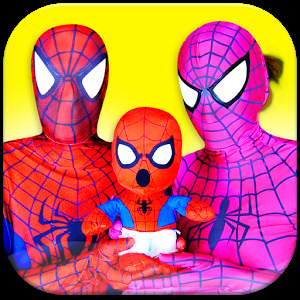 If your child likes superheroes and princesses, this app is perfect for him! Open candy surprise eggs to discover a lot of toys inside like spiderman, peppa pig and lightning mcqueen for boys & frozen elsa the snow queen, my little pony and spongebob for girls in a "cute kids world". 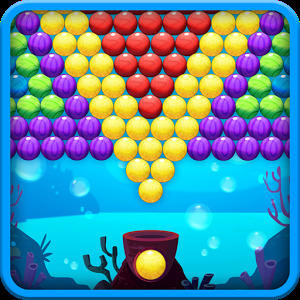 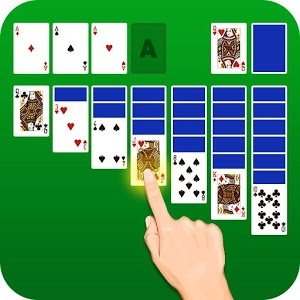 It's a funny game for young kids with toys, fun & chocolate egg. 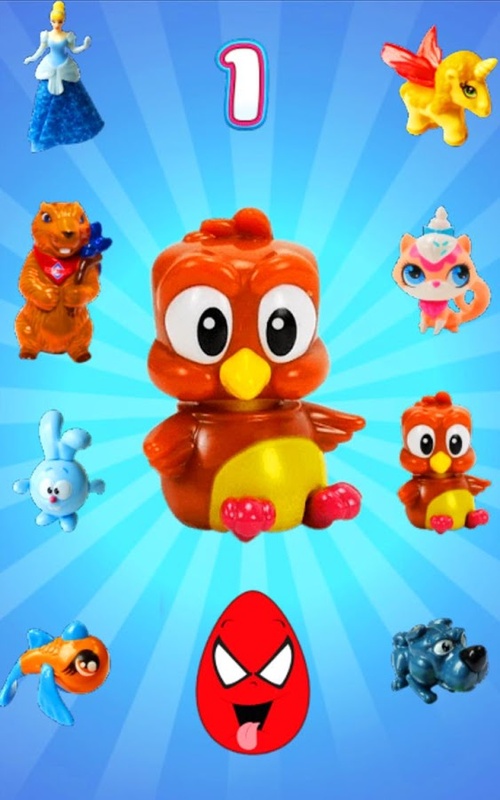 + More than 250 surprise toys. – AND a Marvel / Disney SECRET EGG! 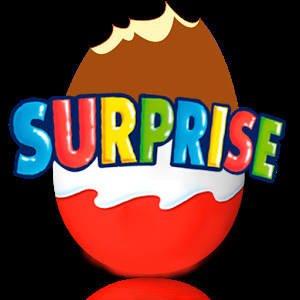 + You have to break the chocolate and get the surprise! 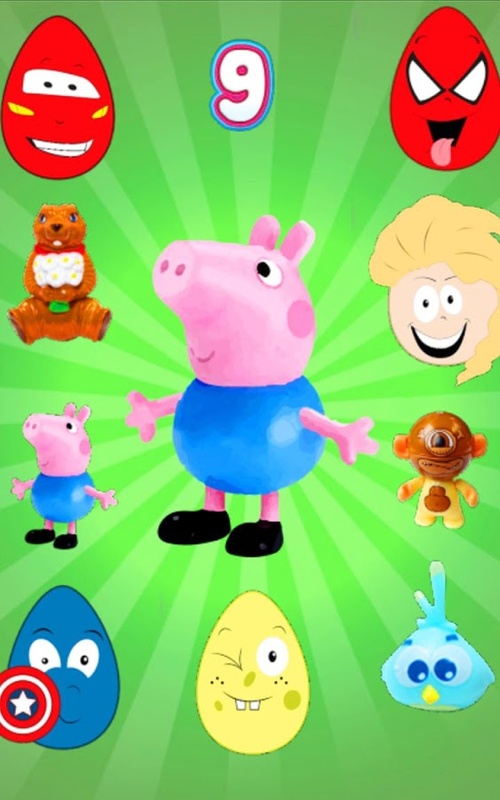 This kids game has no direct relation to Peppa Pig and Frozen Elsa games or the cartoon.